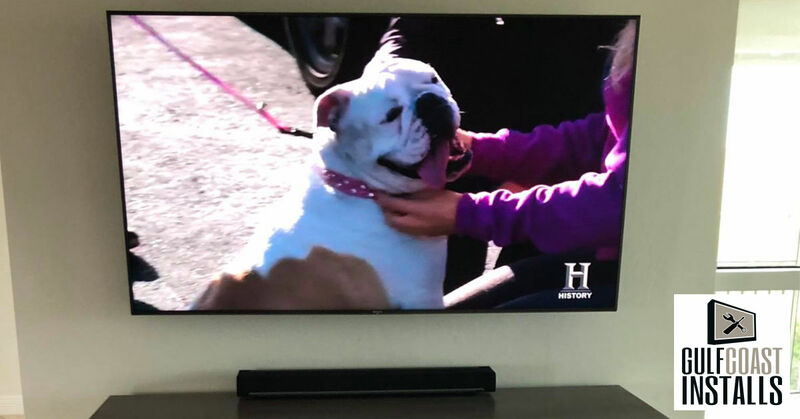 When it comes to big TV installation, there is no doubt that the job is easier than it used to be when TV’s could weigh hundreds of pounds. That doesn’t mean to say, however, that installing today’s big screen TV’s is a walk in the park. That’s why today, we’re covering 8 things that you need to know before you set about your big TV installation project. Before buying your big screen TV, know how big your space is and know the limits on screen size for that room. You don’t want a big screen TV that’s too large for comfortable viewing in that room. Before your big TV installation project, know whether you want to have your big screen TV wall-mounted or whether you want to go with a more traditional tabletop setup. This will influence the cost of your professional installation. When making this decision, it’s crucial that you keep in mind the weight of your television as well as it’s size. Not all big TV’s can be wall mounted because they may be too large or too heavy for your wall space. Are You Permitted to Wall Mount Your TV? If you don’t own your home and you’re looking to have a big screen television mounted on the wall, do you have permission from your landlord or landlady? Bigger screen TV’s often require additional support when they’re wall mounted and this can involve some invasive work that your landlord or landlady must approve. If you plan on doing your own wall mounting for your big screen TV are you able to lift the TV yourself and do you have someone handy to help? Big TV’s might be lighter today than they used to be, but they are still oversized and you’re going to need someone to help you lift and mount your television. Can Your Wall Support It? Depending on where you want to wall mount your big screen TV, you may need to reinforce the area to support your TV properly. If you don’t know what you’re doing, it’s best to call in a professional TV installer to do the job for you otherwise you could wind up with your TV and your wall coming crashing to the ground! Is Your TV Suited to the Type of Mount You Are Considering? There is more than sizing of your TV mount to consider when selecting a mount for your big screen TV. Of course, your mount needs to fit your TV, but you also have to consider whether your TV will work with the mount that you have selected. For example, a mount may have the correct VESA pattern and may support the correct amount of weight, but if the screen of your TV is taller than the mount and you want your TV mounted from the ceiling, it’s not going to work. Consider where you want that big screen mounted and make sure to take all measurements before choosing a mount. Should You Mount Your TV? Just because you can doesn’t always mean that you should. Take some time to look at where you want your TV mounted, where your family will be sitting when watching television, and where any windows are in your room. 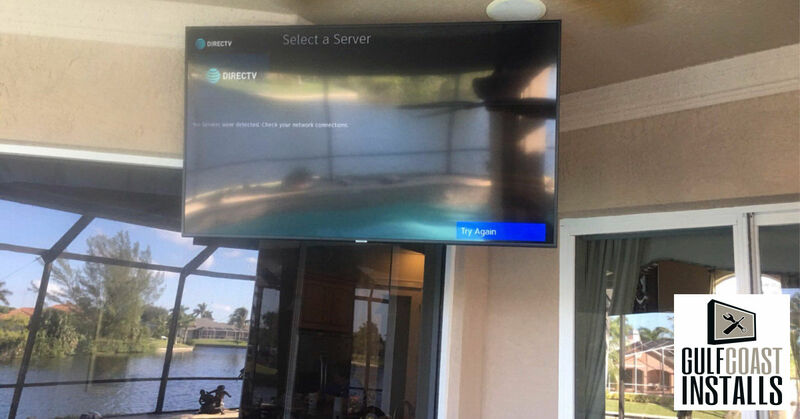 You want to be sure that there is no bright glare on your TV screen when watching it, you want to be sure that the TV screen is visible to the largest audience from your mounting area, and you want to make sure that your guests aren’t going to have to sit at an uncomfortable angle to watch TV and wind up with a crick in their neck! Should You Be Attempting This Project? Although it may seem simple, there is more to big TV installation than there seems and you need to consider your experience in the area before undertaking the project. If you’re not experienced with electrics, leave the job to a professional, it’s safer that way. Ready to Hire a Professional For Your Big TV Installation Project? If you’re ready to leave the job to the professionals and you live in southwest Florida, Gulf Coast Installs can help! Our fully qualified installation technicians are experienced in installing every type of television you can imagine and will get your big TV installation job done in no time! Just pick up the phone and give us a call at (239)-682-1077!